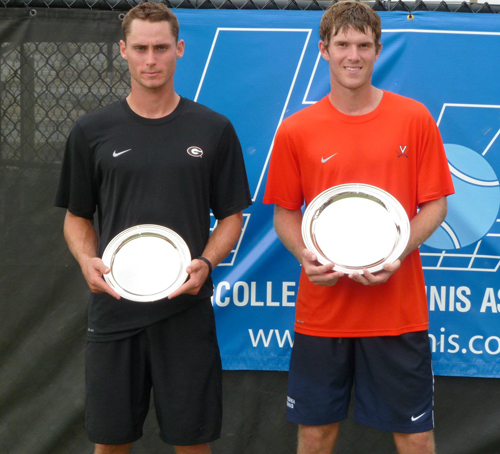 Mitchell Frank became the second Virginia Cavalier in a row to win the singles title at the ITA All American Championships. Mitchell, like Alex Domijan in 2010, also picked up the win as a freshman. 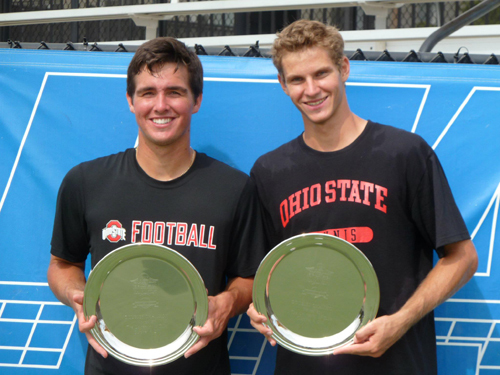 Joining him in the winners circle were two veterans, Ohio State's Chase Buchanan and Blaz Roja. The duo picked up the crown after finishing as finalists in last year's event. The first major college tournament for Mitchel Frank went a lot easier than most expected. He came in as an unseeded wildcard and then took out fourth seeded Chase Buchanan as well as Illinois' Dennis Nevolo, the only player in the tournament he dropped a set to. In the final match, he beat No. 5 Wil Spencer of Georgia. Quarterfinalists and consolation winners of the ITA All American Championships will receive automatic entry into the USTA/ITA National Indoor Championships at the USTA Billie Jean King National Tennis Center in November.